What the hell?! Guess it's a special Wednesday edition of Meng and Me. It's like when those other guys have to move to Tuesday night cause of that dog show. 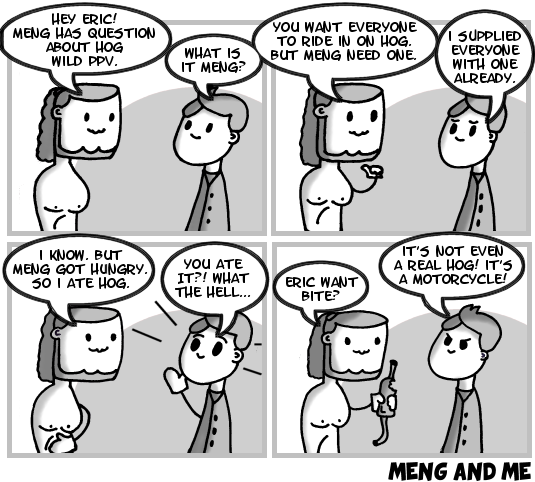 Anywho, looks like Eric is having a little bit of trouble with his Hog Wild PPV before it even starts. I told him I wasn't too sure on doin a rasslin show at a biker show, but I guess Eric knows best. I tell you this much though, biker events are no Braves game!